Waking up to a beautiful garden in your backyard is a lovely feeling. No matter how tired you are but seeing some colorful flowers and a fruit popping out from the blocks of green leaves is a sight that can energize you in no time. And if you take it to the other side, a dull and dry garden with withering plants can be an eyesore. So which one do you like better? If you say yes to the first one then get ready, it is time to have a look at some irrigation systems for your lawn and garden. The key to a healthy and lush green garden is proper irrigation and maintenance. Without it, every morning you will be treated to a cemetery of plants. But with so many options in the market, how do you decide on the best one for your lawns or gardens? Add to that the number of features each system provides, the research can get a little tiring. Some are manual, some are automatic, some save water but require regular maintenance, or how about one that wastes a lot of water but requires almost no maintenance at all? This is one of the simplest, easy to use and cheapest irrigation systems that you can opt for. It’s the old-fashion water cans and hoses. Completely manual but very effective in the right hands. You don’t have to install anything, all you need is a tap or a water source and you are ready to go. 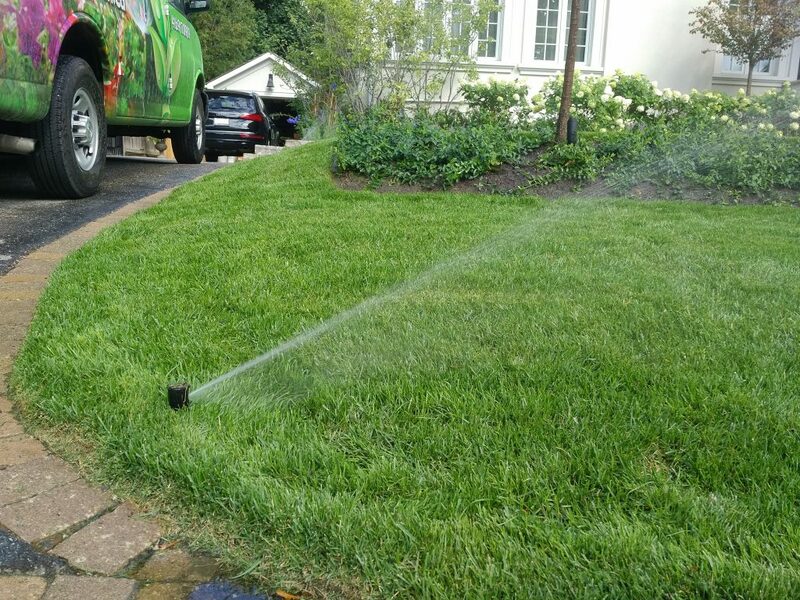 If you have a small garden or a small patch of lawn then this type of irrigation is more than capable of handling the task. They are best used with container plants and flowers. The main con with manual watering is to know when to stop. This can lead to overwatering and water wastage. So as long as you have a small area to cover and can manually monitor the irrigation, manual methods can work without any problems. 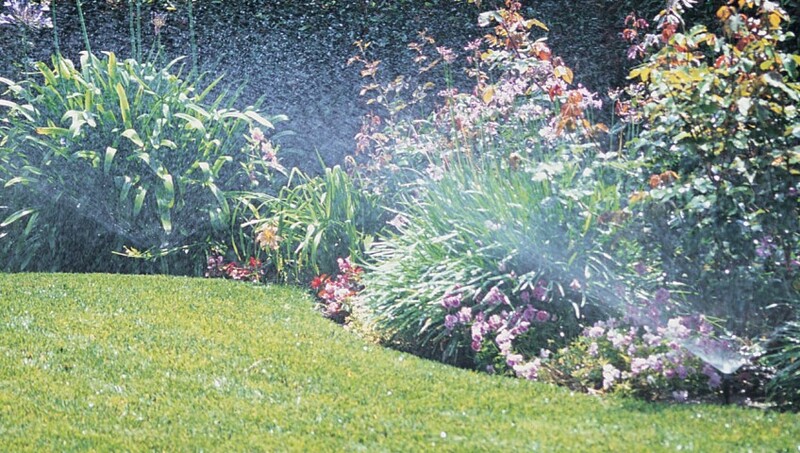 Sprinkler systems are commonly used in lawns and large gardens. The working principle is simple here – there is a pressurized supply and a spray heads are attached to the end. A stream of sprayed water covers a large portion of the land quickly. This is the simpler part, it gets complex when you have a look at the number of options and styles of lawn sprinkler systems. Oscillating, stationary, impact sprinklers, automated ones, traveling sprinklers are just some of the types of the sprinklers that are available in the market. Sprinklers are best paired with flat and large patches of low-level lawns and gardens. If not monitored regularly, they can waste a lot of water. If you have a big lawn and want the absolute best for it then have a look at permanent systems. These are expensive, require regular maintenance but the results speak for themselves. Trenches are dug and in-ground pipes are laid which are connected to an automated water source and detection systems. All of the monitoring, time controls and water flow can be programmed. It is almost an auto-pilot system. Some of the advanced ones can also take the weather info into account and create a specific watering schedule accordingly. It saves a lot of time and also takes out the guessing factor. If you have the resources to put one into place then you cannot go wrong with it. No matter what system you choose, it is always best to contact a professional to install it. A bad installation will cost a lot of water and time wastage. So save yourself from the hassles or irrigation system installations and contact Pro Green Irrigation today.